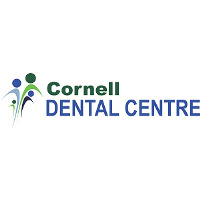 Welcome to Cornell Dental Centre, your one stop dental clinic for creating the healthy, beautiful smile you deserve. From general dentistry for your entire family to cosmetic and restorative dentistry, including dental implants; we are pleased to offer a quality and comfortable wellness-based dental experience to individuals and families alike. At our Markham dental clinic, we are committed to treating you like part of our family. New patients, emergencies and referrals are always welcome!